AC Marriage Hall in Chennai; Sri Ammanaa Mahaall is in Golden George Nagar nearer to Mogappiar east , west, Annanagar, Ambattur, & Koyambedu .Marriage haall is fully centralized ac seating 700 persons, Dining hall centralized ac capacity of 200 persons, 10 ac spacious room with bath attached , with one dormentory, 100 persons can stay, modern kitchen, car parking avilable , well interior work. contact 9282230380. 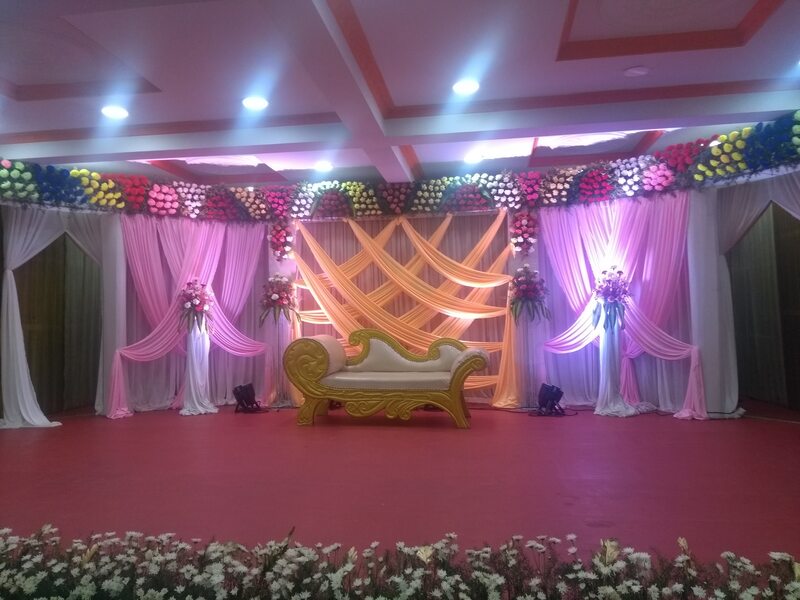 AC Marriage Hall in Chennai; Sri Ammanaa Mahaall is fully centralized AC marriage Hall seating 700 persons, Dining Hall fully centralized AC capacity of 200 persons, very near to Mogappiar East, Mogappiar west, Annanagar, Ambattur, & Koyambedu. 10 AC spacious room with bath attached, with , , one dormentory, car parking available, good interior work. .contact 9282230380. AC Marriage Hall in chennai:Sri Ammanaa Mahaall is centralized AC Marriage hall seating capacity of 200 persons, Dining Hall centralized AC capacity of 200 persons, 10 AC spacious room with bath attached, with one Dormentory, car parking, lift available.provided with modern kitchen , Good interior work .nearer to Mogappiar east, mogappiar west, Annanagar, east& west, Ambattur, & , Koyambedu.Contact 9282230380. AC Marriage haall in chennai.Sri Ammanaa Mahaall is fully centralized both marriage haall & Dining haall marriage haall seating 700 persons, dining haall capacity 200 persons located in golden george nagar very nearer to mogappiar east west annanagar, ambattur, padi nerkunrum, koyambedu.10 ac spacious room with bath attached, one dormentory, lift, car parking with interior work..please contact 9282230380. AC Marriage Hall in Chennai; Sri Ammanaa Mahaall is at Golden George Nagar nearer to Mogappiar East, Mogappiar West, Annanagar, Padi, Ambattur, & Koyambedu. Marriage Hall fully centralized AC seating 700 persons, Dining Hall centralized Ac capacity of 200 persons.10 AC spacious Room with bath attached, with additional one dormentory 100 persons can stay.modern kitchen, lift , car parking avilable, well interior work.Please contact 9282230380.